The Sarasota County Sheriff’s Office and the Sarasota Police Department are participating in Operation Pill Drop, a statewide initiative that encourages the public to properly dispose of unwanted prescription medication, the offices have announced. The operation began Oct. 16 and will run through Saturday, Nov. 12, with the goal of taking unwanted prescription medications out of households where they pose the danger of accidental or intentional misuse by children or adults, a Sheriff’s Office news release explains. Operation Pill Drop “also aims to provide an environmentally safe alternative to medication disposal,” the release adds. While boxes at each location are available to the public year-round, the Sheriff’s Office is participating in the statewide turn-in initiative “to publicize the permanent option for proper disposal,” the Sheriff’s Office release explains. On Saturday, Oct. 22, from 10 a.m. until 2 p.m., the Sarasota Police Department invites the public to bring pills for disposal to the front lobby of its headquarters, located at 2099 Adams Lane in downtown Sarasota. “The service is free and anonymous,” the Police Department news release points out. The Police Department’s drop box is a permanent one, the release adds. Prescription and over-the-counter solid dosage medication, such as tablets and capsules, will be accepted by the Sheriff’s Office and Police Department. “Liquids and needles will not qualify,” the Sheriff’s Office release says. 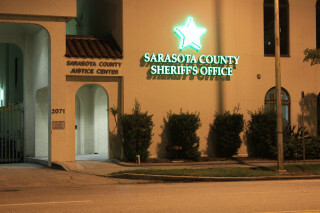 501 College Drive, Sarasota: New College Police Department. 1350 Ridgewood Ave., Venice: Venice Police Department. 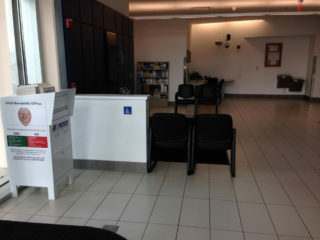 • 4980 City Hall Blvd, North Port: North Port Police Department.